This Sesame Place hotel is the all-suite Residence Inn by Marriott Philadelphia Langhorne. 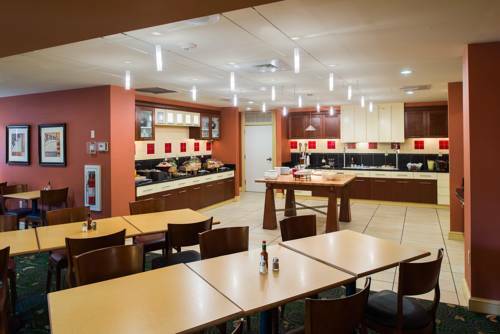 We offer many free amenities including Wi-Fi, Hot Buffet Breakfast, and a grocery shopping service. Plus, you can enjoy the Residence Inn Mix, which takes place on a variety of weeknights - and offers complimentary beverages and a variety of food selections. After a long day, you can relax in our oversized suites with full kitchens featuring stainless steel appliances, living areas big enough for entertaining, and a sleeping area perfect for your extended stay. Some of our suites offer warm fireplaces to provide a homey atmosphere. Catch a game ten minutes away at Arm & Hammer Park or shop 'til you drop just less than a quarter mile away at the Oxford Valley Mall. Our Bucks County PA hotel provides easy freeway access which gives you the chance to explore downtown Philadelphia at just 25 miles away. Stay fit in our fitness center or unwind in our indoor pool.